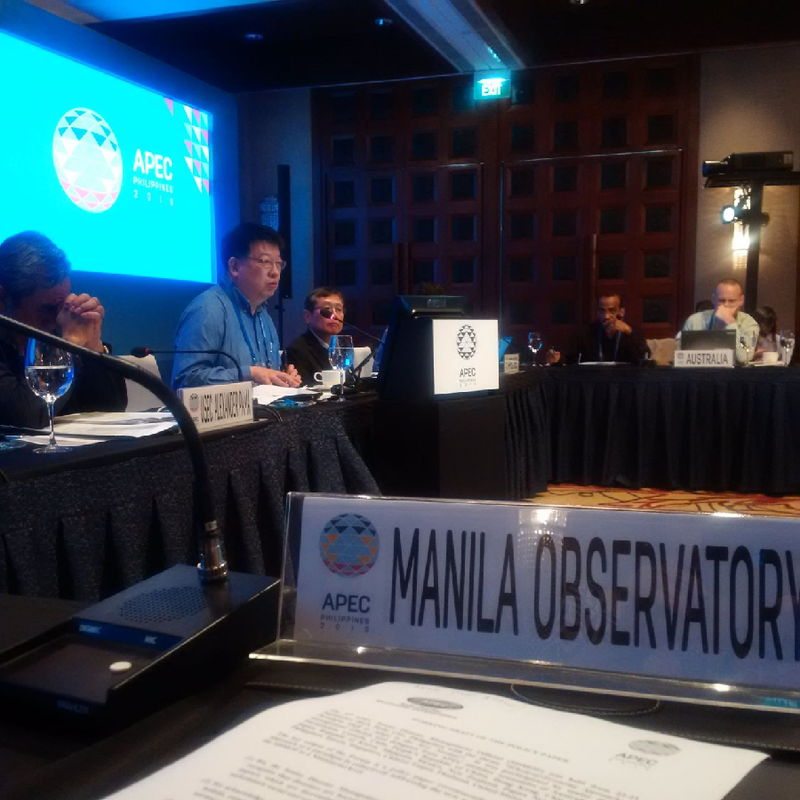 Upon the invitation of the Asia Pacific Economic Cooperation (APEC) Program Secretariat, the Manila Observatory (MO) joined the APEC Emergency Working Group (EPWG) meeting held in Boracay Island on 13-14 May 2015. 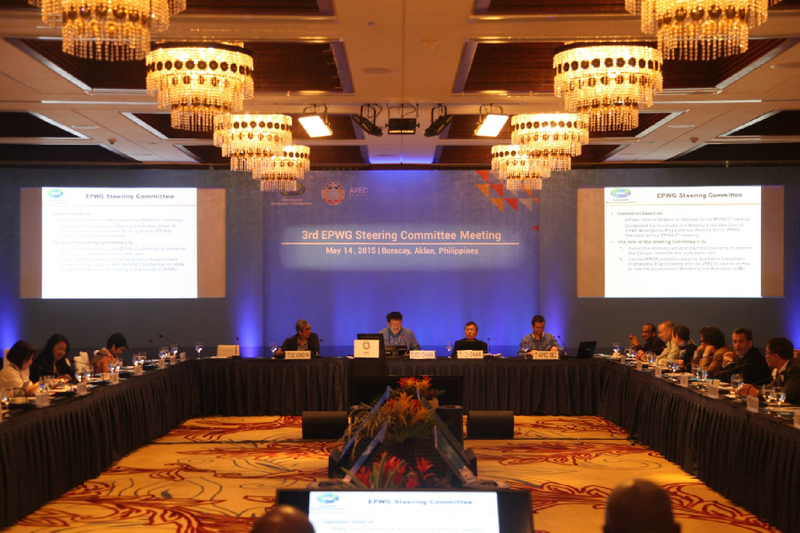 The leaderships of APEC EPWG recognized MO’s innovations in bringing science to policy and practice though pubic–private partnerships in the areas of climate change adaptation and disaster risk reduction (CCA-DRR). During the meeting, MO was joined by UNISDR, APEC Climate Change Center (APCC), the Association of Pacific Rim Universities (APRU) and APEC Business Advisory council (ABAC) as members of the group called “Friends of EPWG”. On 12 May 2015, Executive Director Antonia Loyzaga also met with APEC Co-Chair and Sec. Gen. of the National Science and Technology Center, Dr. Wei-sen Li and Dr. Hongey Chen, Director of the National Science and Technology Center for Disaster Reduction (NCDR), at a pre-event dinner meeting hosted by the NDRRMC-OCD Director Alexander Pama. During the dinner, Dr. Chen graciously presented both the Manila Observatory and NDRRMC-OCD with mementos from the NCDR. Emergency Preparedness Working Group discusses how to further enhance collaboration with other APEC technical working groups, regarding issues such as business continuity, hazard mapping, coastal resilience, global supply chain resilience, and disaster management. — May 14, 2015.